Finished late last night, the image is just under 8.5" x 11". This work, most likely, will be heading to the Waterfowl Festival with me in mid November. A few more marks on the paper . . . This work is finally completed, image size is 13" x 10". 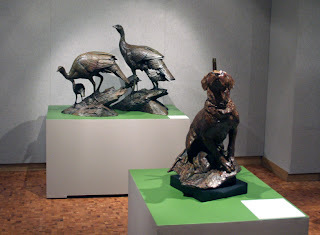 Also today, word has come from the Woodson Art Museum, hosts of the annual 'Birds in Art' exhibition, that the museum will acquire my work, 'I Hear You Singing in the Wire', from this year's exhibition for the permanent collection at the museum. 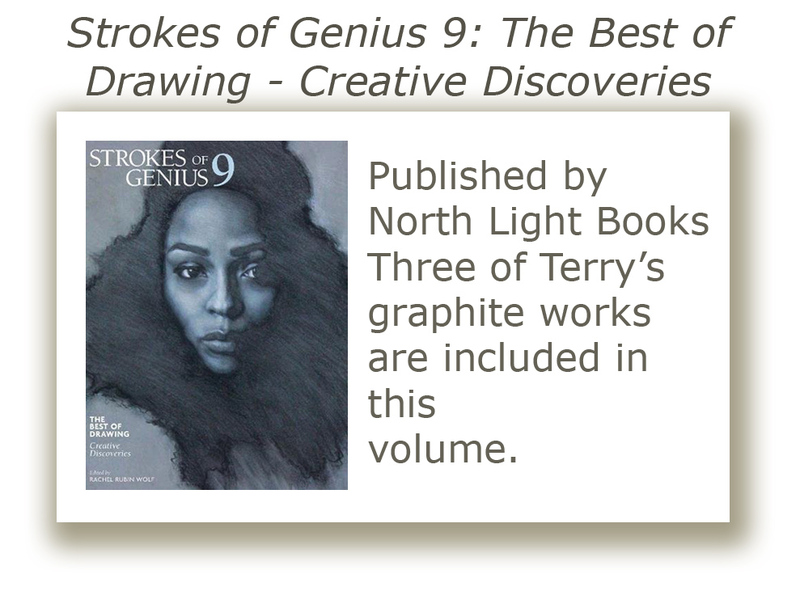 This will be the third work of mine to be housed in the Woodson collections and I am most pleased and honored that this particular work has been spotlighted in such a manner. 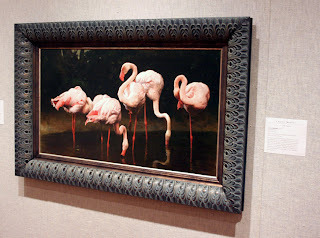 It will also be a part of the touring portion of 'Birds in Art' next year. 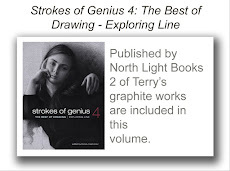 More information about the exhibiting venues for next year's tour will be available on my web site, linked to the right here, included in the Studio News for Fall. Indulge me today, if you will, kindly . 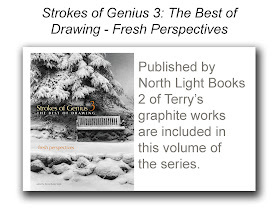 . .
Events of this past week have kept me from the drawing board, but today I return to work. For the moment, though . . . dwell upon these words from poet Nicholas Gordon, found on line, but ringing so true of the place where my heart has been this week . . . In people love doesn't work that way.' . . .
'Love will shadow everything I do. Missing you my heart will be marooned. Such pain cannot forever be sustained.' . . .
'Oh but I will miss you dearly! 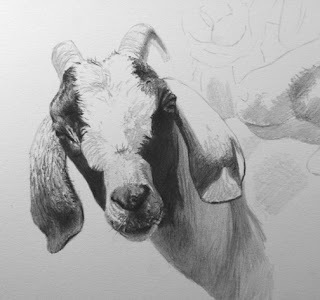 Until Hell ends, I will be existing . . . .
Getting on with it . . . .
And just a bit more of the work progress today. 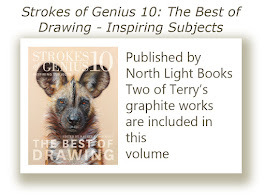 Perhaps you can now guess why this work is putting a smile on my face? Back at work after a couple of weeks of not sitting at the drawing board. 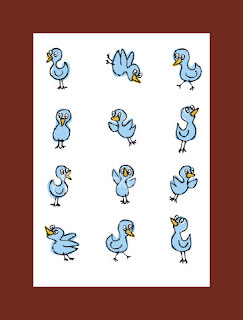 With several gallery events as well as this year's Waterfowl Festival coming up later this fall, I begin, today, a new work. Bridges will take a 'rest' for a bit as I consider some other subjects, compositions and interest values. This one will wind up being a particularly fun work for me and anyone who knows me well will understand why! Stay tuned. 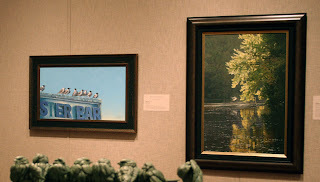 As noted last week, this past weekend, I was in Wisconsin for the opening of this year's edition of 'Birds in Art', the annual fall art event that draws entries from artists all across the globe. This year's 122 works included that of artists from not only the United States but from 9 other countries, including China, Japan and a number of European locations. 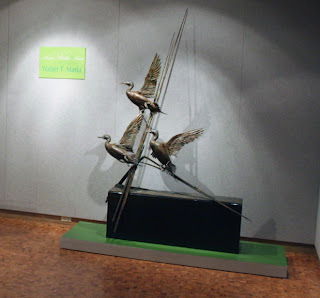 Walter Matia was honored as this year's Master and appropriately so, for his 'master'ful bronze works, including this spotlight piece, 'Rising Pintails'. 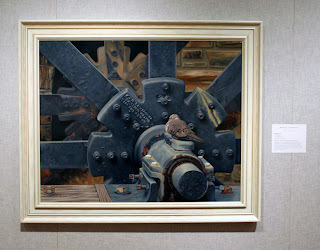 Several other of his works documented some of his favorite subjects, such as those below - 'Molly is a Working Girl' in the foreground with 'The Promise of Spring' behind. 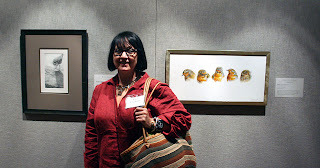 At the main entry into the galleries, friend Alice Eberhard stands between two favorite works, on the left a gorgeous rendering of a Killdeer by fellow graphite artist and young friend, Ryan Jacque. On the other side of Alice, Annette Isfort's 'Robin - Conversation', her work representing that of one of the European contingent, Germany. 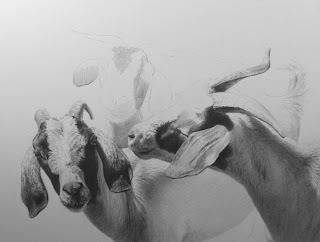 This next work is by New Englander, Cindy House. 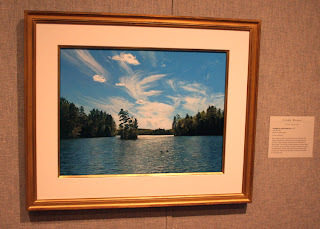 It is, as usual, one of her elegant pastel renderings of landscape, sky, the world around us with a little bit of bird subject matter for added emphasis! Standing in front of one of Cindy's works, you are hard pressed to realize that the mastery of the medium of pastel can be handled so seemingly easily by Cindy. Having dabbled in the medium myself in art school, I have nothing but the highest praise for Cindy. This soft and mellow oil of flamingos is by French resident and first time 'B in A' artist, Claire Naylor. The work knocked my socks off when I walked into the gallery it hung in! 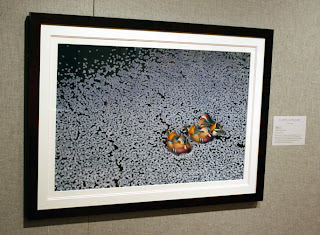 'Sakura', another elegant work depicting Mandarin Ducks in a flow of cherry blossoms was the work of Yoshikazu Natsume from Japan. 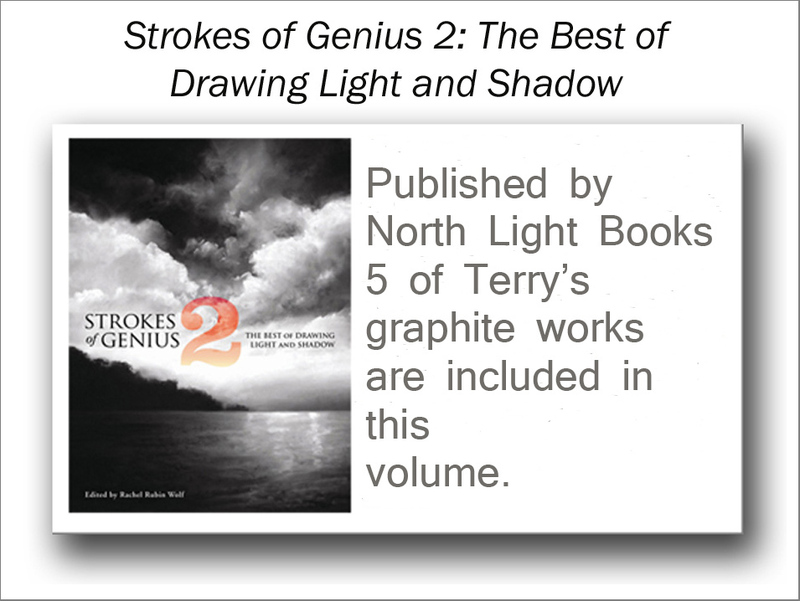 In the catalog, a beautiful and poetic description of the work accompanied its image . . . 'When the cherry trees bloom, a spring storm follows. The storm is jealous of the trees' beauty. However, the petals blown down by the strong wind, dance like snowflakes in a storm so the beauty is not destroyed'. How could anyone say more about this lovely work. 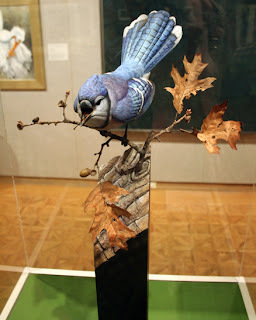 This terrific carved blue jay by Wisconsin carver, Todd Wohlt, drew lots of 'ohs' and 'ahs'. Painted in oils over basswood, the work also includes copper and steel and, I felt, almost sang with the spirit of life! 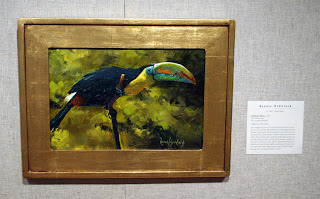 This next oil by Ronnie Williford of Texas, depicts in very painterly style, a Keel-billed Toucan. The vibrancy of the work made it one of my favorites. 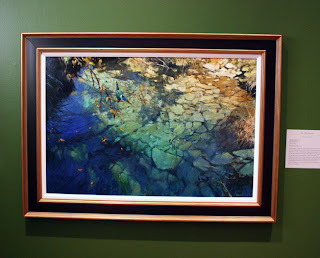 And below, Al Barnes' green kingfisher was so luminous in color and depth, I was stopped dead in my tracks as I approached from across the gallery. Al also resides in Texas. This bronze by Brit, Simon Gudgeon was yet another 'show stopper' for me! I certainly have never seen a barn owl shown to such an elegant manner. 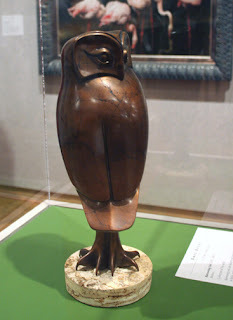 And, while on the subject of bronze works, here is a very witty work, 'Burrowing Owl', by Californian Burt Brent. 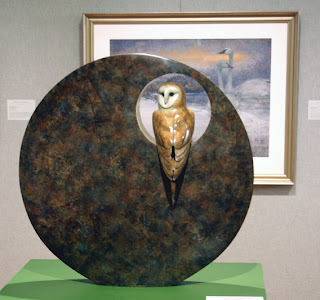 I was particularly 'into' this work as I have just recently completed a work that was donated to the California bassed Burrowing Owl Preservation Society for fund raising efforts on behalf of the little owl. 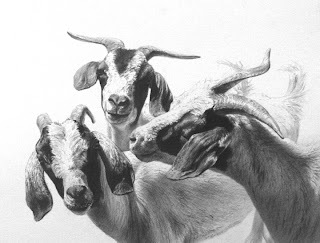 This whimsical watercolor work, one that I fell in love with, is by returning artist, David Wilton. 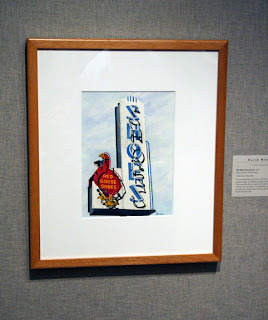 David was juried into 'B in A' for the first time last year with another very nice work, also based on sentimental signage. 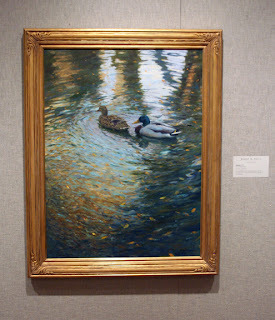 And here, below, a pair of 'Mallards' swim in Randy Dutra's gorgeous oil. 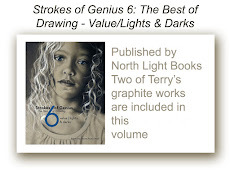 I always look forward to seeing Randy's name on the list of juried artists when it comes out each year and this is his ninth year of inclusion in 'B in A'. 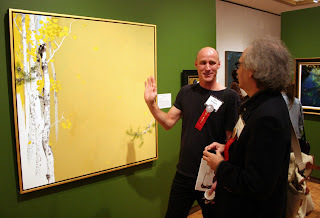 Friend and sculptor extraordinare, Don Rambadt discusses art with friend Mark Eberhard (foreground) in front of Mark's very fine work of a 'Downy Woodpecker'. 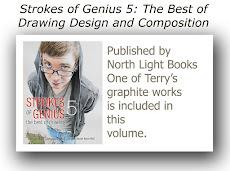 I love the graphic quality of all of Mark's works. 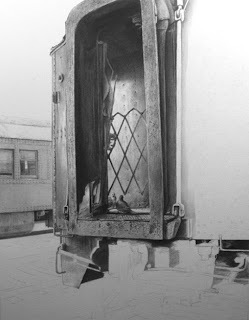 To the left hangs Joseph Yarnell's 'Buffet Line'. 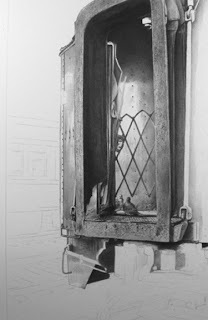 The composition of this work really hit home with me, something I wish I had thought of! 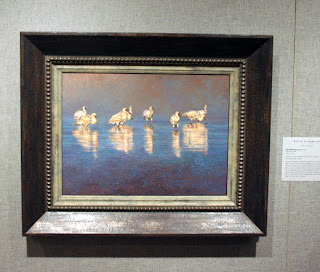 And on the right, first timmer, Jim Bortz painted a very refreshing blue heron in 'Allegheny Gold'. 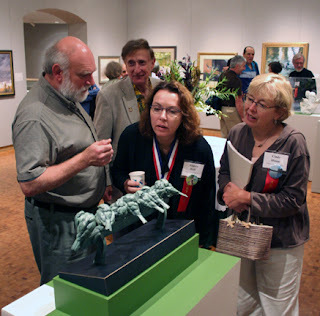 Below, my sculptor friend Pete Zaluzec chats with Burt Brent, Andrea Rich and Cindy House. Andrea wears the sash and medal from her addition to the group of Masters, presented at last year's exhibition. 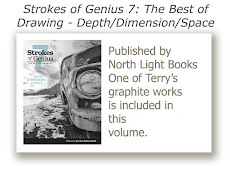 Adrea is one fine woodcut artist! 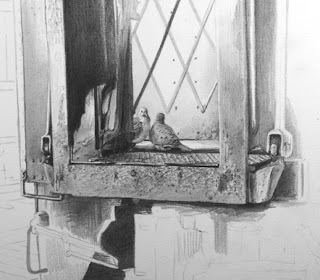 Pete's work of a group of sparrows perched on the back of a park bench was one of my favorite three dimensional works in the exhibition. 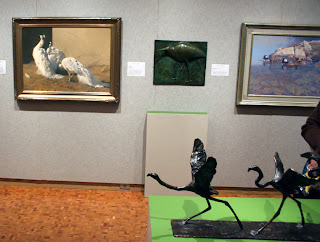 A grouping of works in the main gallery, from left to right - Nancy Howe's 'Cascades', Eliott Offner's bronze, 'Bittern', Jim Morgan's 'Shore Patrol', an oil of Hooded Mergansers and just a hint of Helene Arfi's bronze of flamingos in the foreground. 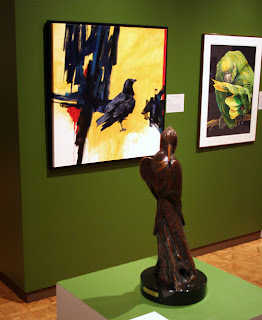 Lyn St Clair's colorful and jaunty raven holds court behind Kent Ulberg's bronze, 'Halcyon' depicting a belted kingfisher. And then, here is David Langmead's beautiful oil, 'Spoonbill Impressions', another of my top five works and David's third work of inclusion in 'B in A'. David lives in South Africa. 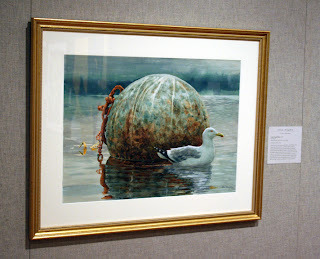 Allen Blagden never fails to impress me with his mastery of the medium of watercolor and this work, 'Coast Guard Buoy' continues my great admiration for Allen's work and his friendship. 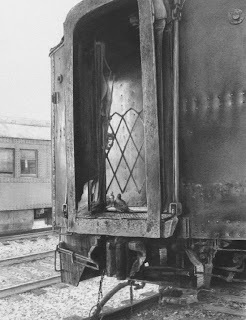 The last work on this posting is one that especially grabbed me with its unique composition and how nicely it was handled by first timmer, Robert Caldwell who resides not too far from me in northern Virginia. 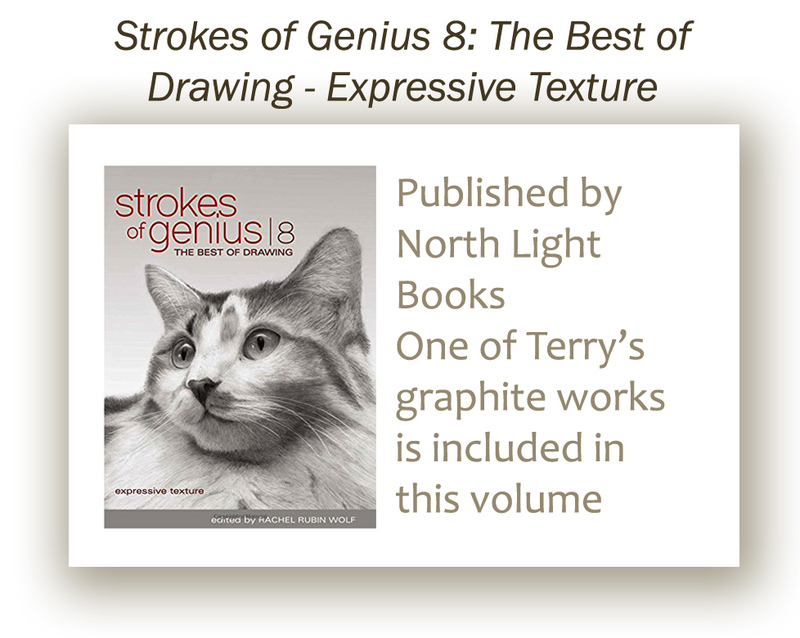 We had lengthy talks over the weekend and I fully expect to see his name on the listing of juried artists next year! 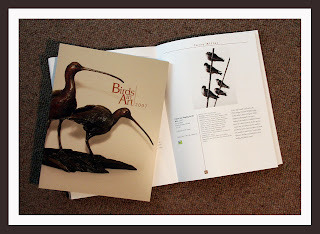 I am off to the beautiful north country of Wisconsin for the opening weekend of this year's edition of 'Birds in Art', the wonderful exhibition hosted by the Leigh Yawkey Woodson Art Museum. As I did last year, I shall be carrying along the camera to record some of the fun from the weekend and will post upon my return next week.